Timber Creek is a manufacture of solid hardwood floors offering pre-finished and unfinished flooring in a number of species and stain colours. We manufacture hardwood flooring as if it where for our own homes. 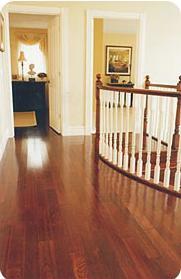 Our Mission Timber Creek Hardwood Flooring is simply about people with pride. We are commited to milling the highest quality hardwood floors that we would be proud to put in our own homes. We stand behind every piece of hardwood flooring we produce. Our focus in on quality of craftsmanship versus quantity .